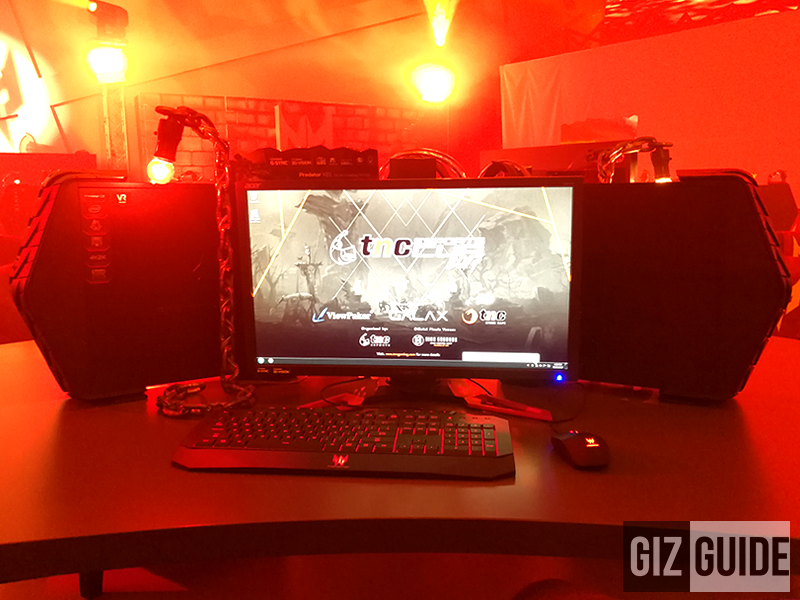 Home / acer / news / pc / High Grounds Cafe Features Over 100 Units Of Acer Predator G1! A dream gaming place! 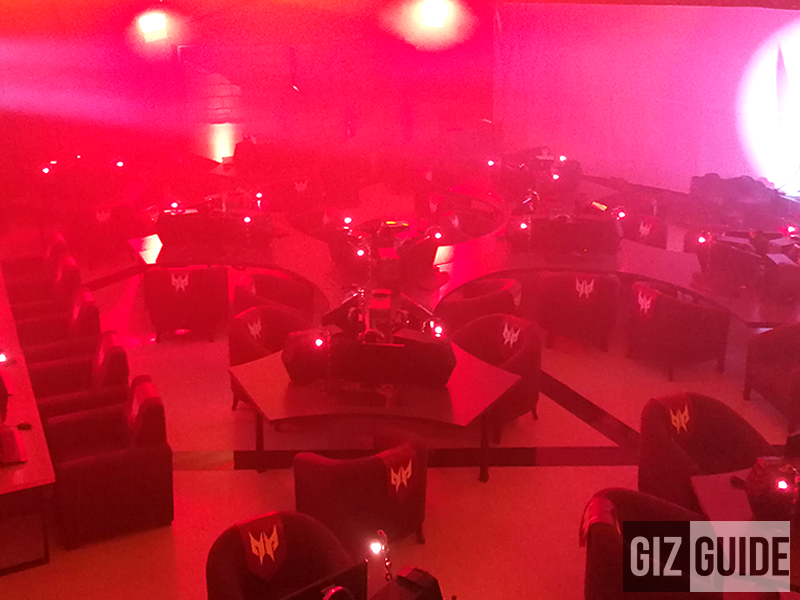 TheNet.com (TNC) has partnered with Acer's Predator gaming brand to launch the first fully branded gaming facility in the country at the High Grounds Cafe in Quezon City. Over 100 units of Predator! It's a masterfully designed facility which features over 110 units of Predator G1 (GTX 1060) and Predator G3 (GTX 1060). Predator gaming PC setup for PHP 80 per hour! The Predator G1 is loaded with an Intel Core i7 6700 processor clocked up to 4 GHz w/ Nvidia GTX 1080 graphics, 32 GB DDR4 2133 MHz RAM, and 256 GB SSD drive + 3 TB HDD which can handle most of the heavy games on max settings. It's a setup which will give you a lag free gaming experience even after hours and hours of playing. The Predator G3 is powered with Intel Core i7 6700 processor paired with Nvidia GTX 1060 graphics, 16 GB DDR4 RAM, 128 GB SSD + 2 TB HDD storage. They're paired with Predator XB241H 24-inch full HD gaming monitors that support NVIDIA G sync technology. The Predator 21X is a beast in power and looks! 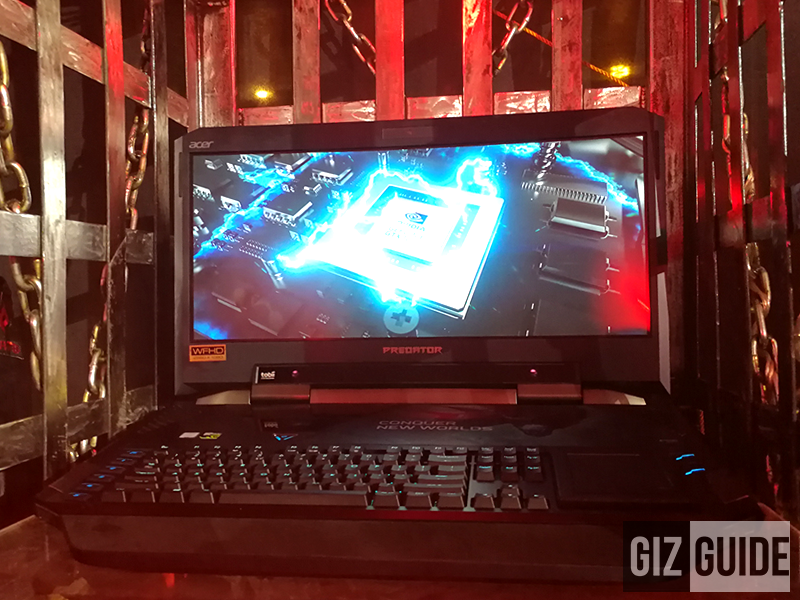 The Predator 21X monster gaming laptop was also launched in that event at High Grounds Cafe. It's the world's first gaming laptop with 21 inch QHD 2560 x 1080 IPS screen w/ 200R curvature, Kaby Lake Intel Core i7 processor, Nvidia GTX 1080 SLI w/ 16 GB GDDR5X graphics, and 64 GB DDR4 RAM. The High Grounds Cafe will also serve as a training ground for the TNC Pro Team. It's bannered by members Marco Polo “Raven” Fausto, Carlo “Kuku” Palad, Samson Solomon “Sam_H” Hidalgo, Timothy “Tims” Randrup, and Ryo “ryOyr” Hasegawa, made history by becoming the first Filipino grand champions at the World Electronic Sports Games (WESG) 2016 Defense of the Ancients (DotA) 2 competition. The team bagged a total prize of USD 800,000 which is roughly around PHP 40 million. Redulfin and team manager Paulo Sy both admitted it’s tough to maintain a competitive team that should be well trained and funded. But with the arrival of the Predator desktops at High Grounds, they know that more and more esports “athletes” or gamers will have full access to powerful PCs that can deliver the best - and only the best - experience in leisure and competitive gaming. Visit the Predator High Grounds Cafe in Tomas Morato, Quezon City. Rent is priced at PHP 80 per hour. Internet speed is at around 500 Mbps. Crazy cool right? For more info about Predator gaming devices, visit their Facebook page now.